Part of the internet world I follow is all abuzz today, which has prompted me to address something that has been on my mind for a long time: labeling how we eat. A well-known vegan author released an open letter yesterday to inform her followers that she has decided to return to eating meat. She lists a variety of reasons for her decision. She was bombarded by vicious, hurtful and malicious attacks against her person and character, all from the comfy confines of people hidden behind their computer screens. This woman, who yes, made a name for herself in the vegan world (vegans do not eat animal products of any kind and often avoid products made with animal hides as well) made a decision and decided to be honest and share this with the world. She could have likely hidden it, but she didn’t. Much of the vegan community continuously surprises me with the vehemence they use to tell the world that they are RIGHT and the rest of us (omnivores) are WRONG. And the vehemence with which they attack and shame and humiliate those who choose to consume animals or animal products. There is a difference between trying to educate others about the reasons behind ones choice to eat only plants and attacking them for not believing/eating the way you do. In my experience, for many vegans there is no middle ground. There is no grey area, there is no place for a slip up, an accident or even a once in a while choice. And there certainly isn’t room for someone to simply change their mind. If someone chooses to label themselves as a vegan and then eats something outside of what vegans consider acceptable (which some can’t even decide on…honey or no honey? what about the bees?) other vegans are the first to take a virtual swing at them. I find this behavior sad and curious. 2-I don’t hate people that don’t eat meat. 3-I believe that eating a more plant based diet is better for people, many animals, and the environment. 4-I believe in doing the best I can. 5-I do not believe in perfection. 6-I do not believe in labeling myself. 7-I do not believe in viciously attacking others for their choices. 8-I do not believe the way one chooses to eat is any ones business. 9-I do not believe in hiding behind the internet to say things I would NEVER say to someone if they were sitting right next to me. Yes, this author promoted herself as a vegan and so one might argue that “she had it coming” but really…who are we to judge another? She is the one living her life, living in her body, living with her conscience. The vile attacks against her are, to me, in complete opposition to the ideas behind being vegan…to care for ALL the living beings on the planet. I wonder if those attacking her today have never changed their mind about something? I wonder if they have never had to sacrifice something for convenience? I wonder if they really believe all the things they are saying or if they are just caught up in their righteous indignation? I wonder if they are pretending that we live in a perfect world where choices are always easy and happy? I wonder if they are always really as perfect in their eating as they promote themselves to be? I’m sure those that followed her are feeling personally affronted; I’m sure it is similar to how many felt after Lance Armstrong admitted to doping for years and lying to us all. We felt let down, betrayed, sad, misled and disappointed. I get it. But ultimately, her choice is HER choice. How other people feel about it is THEIR choice. But it doesn’t give them the right to assault her via the protection of the internet. BE upset. BE sad. BE disappointed. 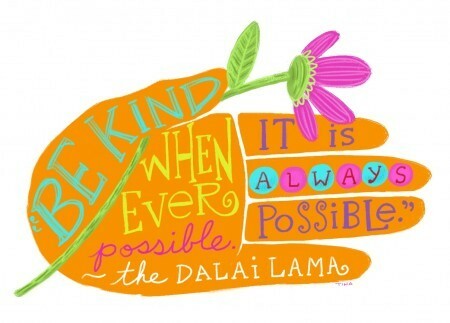 But don’t forget that we are all human beings and each and every one of us deserves kindness. If vegans believe in not eating animal products as an act of caring and kindness to themselves, the animals and the planet, why is it okay to emotionally assault this woman via the web? That is not an act of loving kindness. My advice to the people who care to take it: avoid labeling yourself. Avoid labeling your eating type. Just eat. Eat whatever it is that YOU are morally, socially, physically, and emotionally comfortable eating. Do your best. That is all any of us can really do. Our best. On any given day. And before you hit submit on that comment or post ask yourself…would I say this if this person was sitting right next to me, across my kitchen table? If my best friend said this to me how would I respond? Would I say this? If I was looking right into their eyes…would I say this unkindness? If not…maybe use the backspace button and keep from adding unnecessary hatred and negativity to the world. Kindness. It is the only thing the world needs. Thank you! I am so glad it resonated with you. The subject is something that has bothered me for a number of years. Corrie, this was an awesome blog and I completely relate to it because of various people in my life. Beautiful writing. This entry was posted on February 28, 2013 by Corrie Beebe in lessons, LOVE, quote.